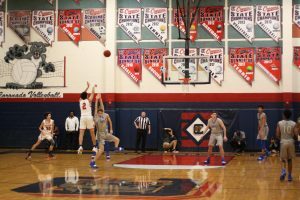 Men’s varsity basketball lost 75-88 against Bishop Gorman in a away game on Thursday, Nov. 29 televised for the first time ever on ESPN. Women’s varsity basketball took a close win 55-52 over Clark in an away game on Monday, Nov. 26. 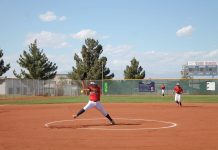 Women’s varsity then defeated Las Vegas 52-24 on Thursday, Nov. 29. Men’s varsity basketball fought but fell to Santa Margarita 70-79 on Friday Nov. 30. The men’s team will face off against Higley on Saturday Dec. 8 while the women’s team plays Village School on Saturday Jan. 5. Varsity flag football won 30-0 in their Wednesday away game versus Sierra Vista and defeated Cheyenne 41-8 in the Friday, Nov. 30 home game. The Cougars shut out the mountain Lions 30-0 on Wednesday, Nov. 28. Senior Jaelyn Eisenhart scored three touchdowns. Sophomore Kaylin Hall boosted the Cougars to victory with two touchdowns and eight complete passes. 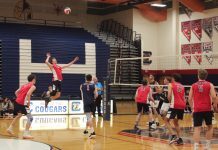 The Cougs kept the win streak going with the defeat over Cheyenne. Hall led the Cougs to victory, with four touchdowns and 12 complete passes along with junior Payton Bard completing seven tackles. On the receiving end, junior Ashley Taibi secured two touchdowns. 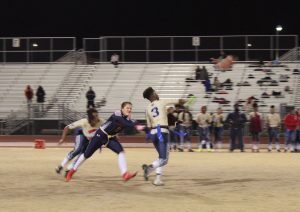 Flag football will face off against the Arbor View Aggies at home on Friday, Dec. 7 at 4:30.